Formerly Head of the Ocean Section in the National Science Foundation’s Geosciences Directorate, and before that the Director of the NSF’s Biological Oceanography Program, Phil has worked with the ocean science community, and other Federal Agencies, to build national and international ocean and environmental sciences research programs on ocean ecosystems, climate change, harmful algal blooms, ocean acidification, marine biotechnology and sustainability. Phil is currently the Associate Dean for Research Advancement, at the University of Southern California’s Dornsife College of Letters, Arts and Sciences, where he was formerly the Executive Director for Research Advancement and Federal Relations. 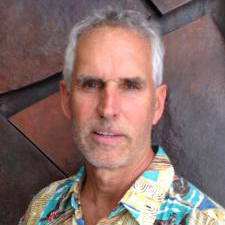 Phil is a marine ecologist with his doctorate from the University of California, Irvine; his master’s from the California Polytechnic State University, San Luis Obispo; and his bachelor’s from the University of California, Santa Barbara. He also serves on the board of directors the Association for the Sciences of Limnology and Oceanography (ALSO).